What is Canoeing and Kayaking? Travel across water at high intensity (if you want) in two exciting sports. Sit or kneel in a canoe and propel yourself forward with a single paddle. Or sit in a kayak and glide across the water with a double ended paddle. An intense workout with the excitement of the water makes for a enjoyable experience in two of the world’s most popular water sports. And it’s also a good excuse to get outdoors and explore more of London too! Watch your confidence grow as you become stronger with each stroke. You don’t have to have really strong arms to canoe or kayak, as it’s also about skill and coordination too. 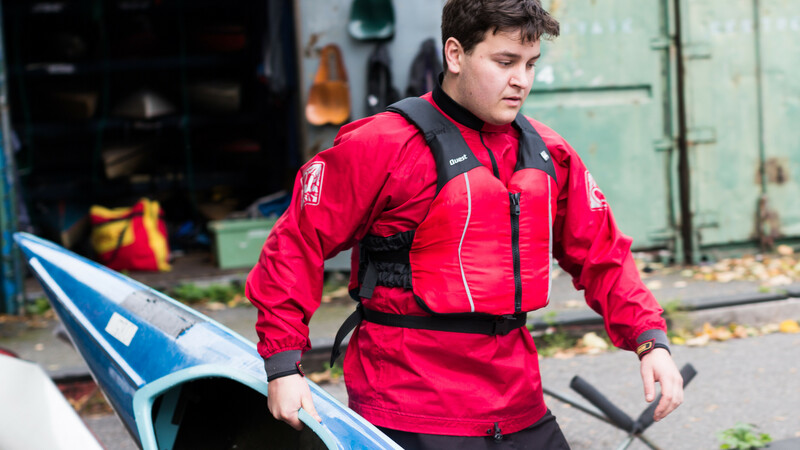 You’ll face no barriers getting out there either, both kayak and canoe are sports for everyone and once you find the club for you, there’s no stopping you! Both sports are great for stress relief, once you’re out on the water you’re free to have a great workout! You’ll get a great upper body workout and likely to become stronger and more lean! Contact the club and find out whether they will provide canoes,kayaks, paddles and a life jacket (safety first!) If they do, all you need is just comfortable sportswear that you don’t mind getting wet in! Find out more about canoeing and kayaking on the British canoeing website.